Iran’s parliament voted for a massive increase in funding for the Islamic Revolutionary Guard Corps and the nation’s missile development program, Saeed Ghasseminejad, an associate fellow at the Foundation for Defense of Democracies (FDD), wrote in a policy brief Monday. The move was recently approved in two parliamentary bills, Iranian media reported. One designated $7.4 billion of Iran’s defense budget for the IRGC, a 24 percent increase. A second bill mapped out a five-year development plan for Iran’s missile program; it requires that the government devote at least 5 percent of the budget to defense, especially missile production. “Taken together, the new laws further cement the IRGC’s control over the Iranian military as well as its growing economic and political clout,” Ghasseminejad wrote. The growing political clout of the IRGC stems from the increasing number of former members entering parliament and defending its interests. 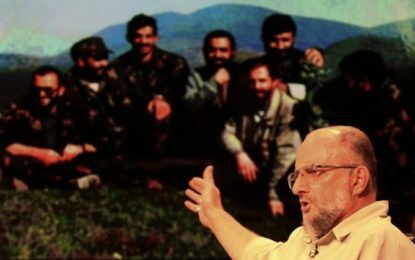 This has ensured that “the IRGC has increasingly received the lion’s share of the defense budget,” Ghasseminejad explained. According to the new plan, the IRGC is set to receive 53 percent of Iran’s $14 billion defense budget. 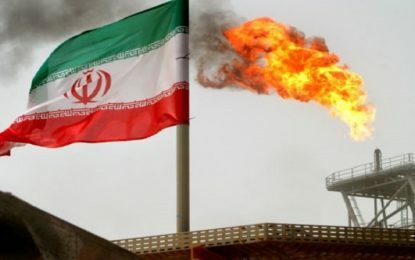 The $14 billion comes from a $12.2 billion recurring item in the budget, $1.3 billion collected from oil and gas revenues, and $450 million from fees paid by Iranians to exempt themselves from military service. Iranian President Hassan Rouhani approved the budget a few months before the upcoming presidential elections, bolstering his campaign with “the government-wide support the IRGC enjoys for its continued dominance over the military,” Ghasseminejad explained. 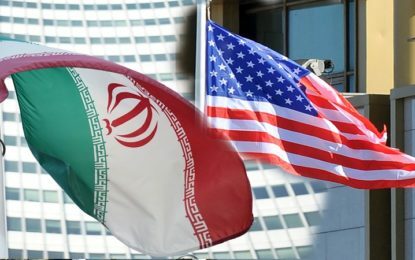 Sanctions relief as part of the 2015 nuclear deal is expected to contribute to an estimated four percent annual economic growth in Iran over the next five years, according to an FDD study conducted last June. The projected growth counters Iran’s frequent claim that it is not seeing economic benefits from the nuclear deal. “There is no longer any doubt that the money the United States has paid to Iran will go to the Islamic Republic’s armed forces,” Ghasseminejad wrote in a policy brief last September. “It remains unclear how the military will spend it – potentially to prop up the Syrian regime, Hezbollah, Shiite militias in Iraq, or Houthi rebels in Yemen, or to buy heavy weaponry from Russia in contravention of the UN arms embargo.” The long-term effects of sanctions relief “will help finance Tehran’s overriding objectives: spreading its revolution and further destabilizing the Middle East,” he warned. The results of sanctions relief differ sharply from assurances given by the Obama administration. However, Jay Solomon of The Wall Street Journal reported otherwise in August 2016: “Mr. Khamenei and his allies look to be the deal’s big winners.” This meant that the next U.S. administration will have to decide whether “to continue to work with Iran or to challenge an increasingly entrenched supreme leader and his Revolutionary Guard,” Solomon noted. The results of the nuclear deal confirm many of the concerns expressed by experts ahead of the 2015 agreement. Lee Smith, a senior fellow at the Hudson Institute, predicted that the IRGC would strengthen its hold over Iran as a result of the deal. Ghasseminejad and Emanuele Ottolenghi, a senior fellow at the FDD, similarly warned that the groups most likely to be strengthened by the nuclear deal were businesses controlled by Khamenei and the IRGC.